My downloadable freebie this month are Valentine's Day sequencing cards that I created in Boardmaker. I made these with some of my special day class students in mind. 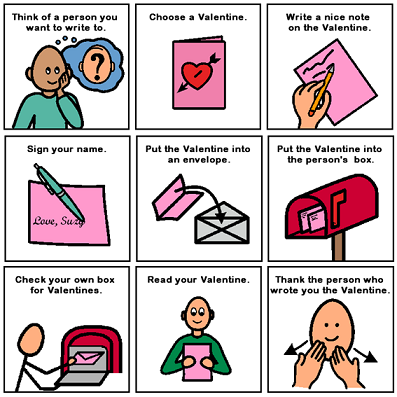 These would work well to review the routine of Valentine's Day, to use in a social story, or simply to work on sequencing. They are available here.